Children with spinal muscular atrophy (SMA) may need several specialized assistive devices to complete activities of daily living. 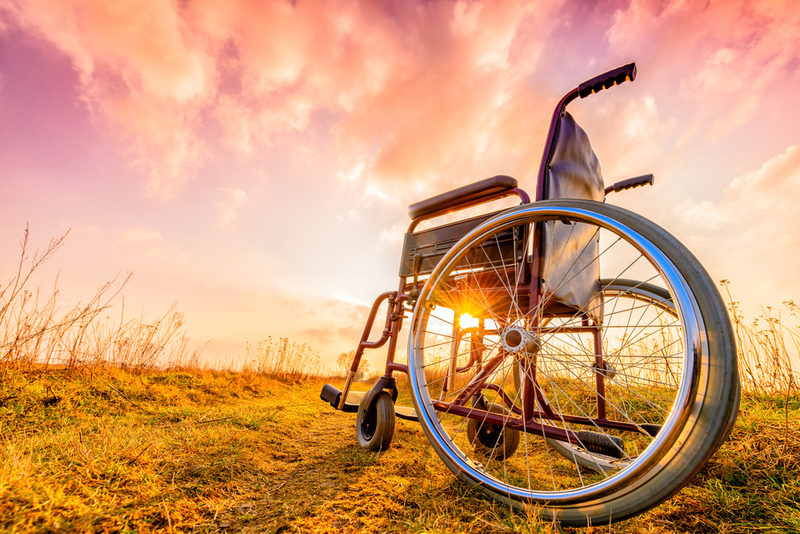 An occupational therapist should evaluate all patients with SMA soon after diagnosis and periodically assess for changing needs as the disease progresses. An occupational therapist or related provider should assess the patient’s unique abilities and limitations, and in turn, identify equipment and devices that allow patients to function maximally within their abilities and overcome limitations. Weight-bearing activities are important for bone growth and development. In fact weight-bearing activity in young people may be a stronger predictor of peak bone mass than calcium intake.1 Children with SMA—even those who are unable to sit—may benefit from devices that help promote weight-bearing. These devices, commonly known as “standers,” come in a variety of configurations to meet the specific needs of each person with SMA. If the child is primarily supine, this supine stander is the best choice. With this supine stander, the patient is held nearly upright but with head slightly behind feet, vertically. Supine stander is also the best choice for patients who have insufficient head control—gravity and padding can hold the head in place in the supine stander. Lastly, sit-to-stand standers allow patients to transition between a sitting, “wheelchair” configuration and a standing configuration. In most cases someone has to help the patient make this transition, but gaining independence in this task could be useful goal for appropriate people with SMA. Some patients with spinal muscular atrophy are able to walk when they have appropriate support. Without mobility devices this support would come from a parent or caregiver. However walkers are useful surrogate for individuals in this group since they provide weight support and assist with balance. Typically, patients with spinal muscular atrophy will use a rolling walker. A rolling walker generally has four wheels with the handbrake that can stop the wheels from moving for stationary stability. Unlike walkers without wheels, rolling walkers do not need to be lifted and moved during ambulation. Like standers, walkers come in various configurations. Anterior walkers support weight in front of the patient, i.e., the person leans forward onto the walker for support. Conversely, posterior walkers support weight behind the patient. As such, the person leans slightly backwards for support. Gait trainers are another form of walker that provides support while standing and walking. Gait trainers may or may not have hand brakes, most do not. Thus patients must be able to stabilize themselves on four wheels while standing for this type of walker to be appropriate. 4. Jones MA, McEwen IR, Hansen L. Use of Power Mobility for a Young Child with Spinal Muscular Atrophy. Phys Ther. 2003;83(3):253-262. 5. Tefft D, Guerette P, Furumasu J. Cognitive Predictors of Young Children’s Readiness for Powered Mobility. Dev Med Child Neurol. 1999;41(10):665-670.